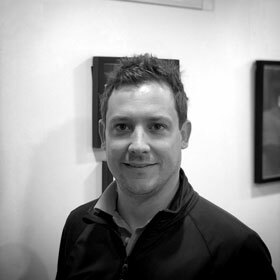 James has been a member of the Professional Clubmakers Society since 2003, with a background in Design & Technology that dates back to his school and university days. Clubmaking was clearly James' destiny, with his early passion for the game inspired by his great grandfather, a professional golfer and contemporary of the legendary J.H.Taylor, a five-time Open champion. "The constant advancements in golf club design - and especially shaft technology - present fascinating new challenges for cutting-edge clubmaking," says James. 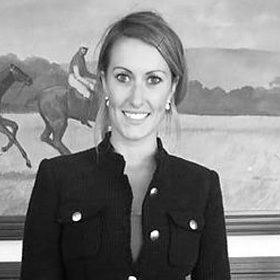 "I thrive ondeveloping innovative and efficient techniques both to pioneer and incorporate the latest thinking, and always strive to make each of our clients' golf equipment not only technically precise in terms of specification, but also as individually personal as their signature." "Seeing the satisfaction on their faces when they collect their new bespoke equipment reminds me of the day I built my own very first set of clubs for myself," he adds. A former junior champion at Stoke Poges and West Hill GC, Simon played to a handicap of +1 in such established amateur events as the Brabazon Trophy, English Amateur, Berkshire Trophy, Tillman Trophy, and the Royal St George's Grand Challenge Cup. As a professional he played on the EuroPro Tour and Challenge Tour in 2004, while also progressing to Final Open Qualifying in 2003 and 2006. Simon has a Distinction in Golf Management from Merrist Wood College and gained valuable early experience organising corporate golf days for prestigious clients, including Jaguar, Bentley and Mercedes-Benz on behalf of a leading Event Management company. "Bespoke club fitting is all about being sympathetic to the player and ensuring their golf clubs complement both their swing and their approach to the game," says Simon. "It involves far more than just looking at clubhead speed and handicap and prescribing a Stiff or a Regular shaft." "The challenge for the fitter is to assess each individual's swing profile and shot patterns in the context of their physical requirements and personal preferences and, with a detailed knowledge of club design and technology, to succinctly advise on the ideal clubs to suit both their performance potential and aesthetics," he explains. "From my experience of fitting clients, and also playing with my amateur and professional contemporaries, I have developed an appreciation of the different ways the game can be played. It has taught me that it is inappropriate just to tell someone what equipment to use, given how the ideal solution is ultimately a complex equation involving careful interpretation of objective data and highly subjective individual preferences. Indeed, I always stress that a truly fitted set of clubs requires considerable amount of input from the golfer themselves. This, in time, helps clients better understand their own game, allowing them to build on their strengths and minimise their weaknesses"
"It is a fascinating challenge to find a truly personalised solution for every client." 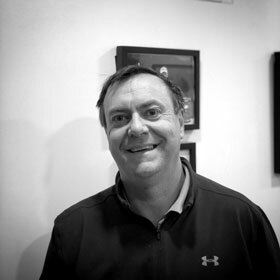 Mark Woodward brings over 25 years of experience in the golf industry with expertise in the fields of club building, fitting as well golf retail management. Having previously worked at Callaway Golf as one of their main repair technicians, Mark has handled a huge variety of work from across the whole of Europe. Mark has also held a Category 1 handicap for over 30 years, with the majority of that time as a squad member for the Surrey ‘A’ Team. Along the way he has held two course records, won eight club championships and been a county medal winner. Mark has an unrivalled passion for the game and relishes the challenge of helping others to improve their game and achieve their golfing goals. 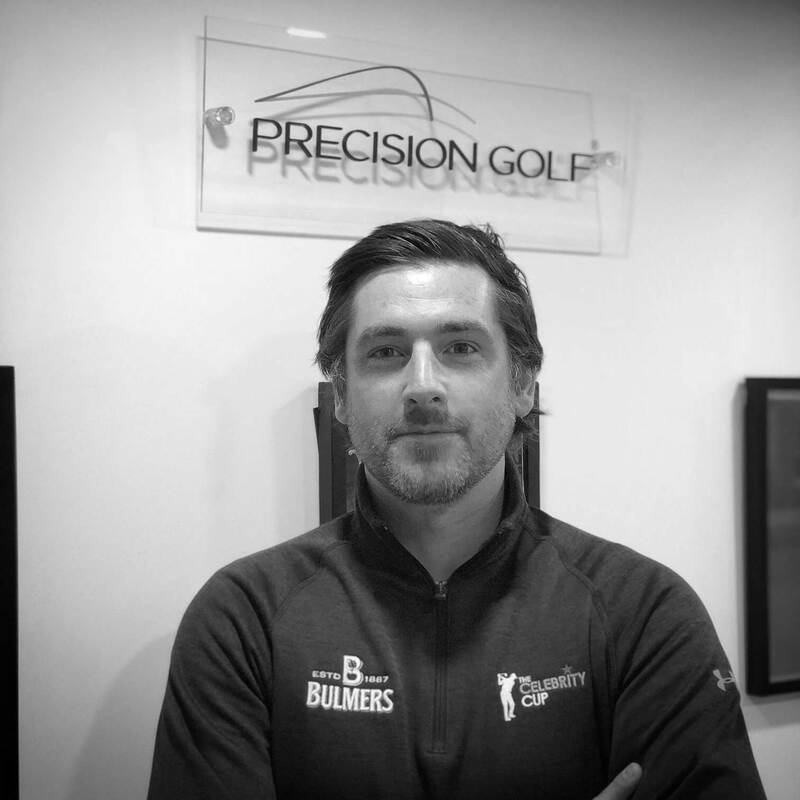 Joe joined the PG Team after 8 successful years at Ryder Cup venue The Celtic Manor Resort, where he held numerous positions including Head PGA Professional and Golf Academy Manager. Joe brings with him comprehensive fitting experience having headed up the Taylormade Performance Lab and the Titleist National Fitting Centre at Celtic Manor. 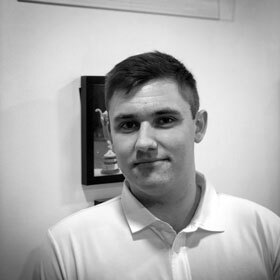 Joe turned professional after a successful amateur career during which he was involved in England squads at every level from boys through to Men's and achieved a handicap of +4. Subsequently, Joe successfully competed in PGA tournaments having accumulated over 20 individual professional victories. Joe is a self confessed "golf geek”. 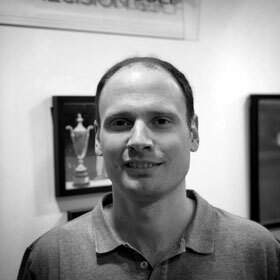 Pete has a wealth of experience both in his knowledge of the game and his own professional and amateur career. Pete joined us from The European Tour where he was responsible for the ‘day to day’ activities of the European Tour longest marathon ‘Qualifying School’ spanning the past 5 years. Living and breathing the world of golf for many years within the circles of the European, Challenge and the Senior Tour’s top players, Pete has seen first hand what it takes to reach the top of the ladder. 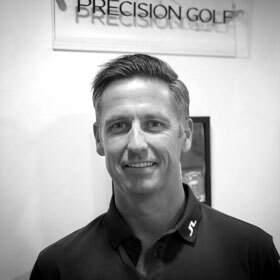 Pete is passionate about golf and has now transferred his knowledge and expertise into helping educate others to achieve maximum results from their equipment and develop their connection with the game. Pete is pure geek too when it comes to golf, so he fits right in! 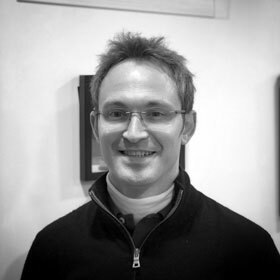 Nuno joins the team in the PG Workshop bringing with him over 10 years experience in the custom club-building world. Having built tens of thousands of clubs over the years and overseeing quality control at Callaway Golf Europe Nuno is no stranger to ensuring perfection. So much so Joe Miller, the current World Long Drive Champion, insisted that his 50" long drivers were built by Nuno. Stuart qualified as a chiropractor at the Anglo-European College of Chiropractic in the United Kingdom. He is also a graduate of the University of St Andrews where he studied Human Biology. Stuart is a very keen golfer and was awarded a golf bursary by The Royal and Ancient Golf Club of St Andrews whilst he studied at St Andrews. He also enjoys cycling and has run two marathons, the second of which allowed him to raise funds for Myeloma UK. When he gets the opportunity he also loves to ski. As well as using joint manipulation / mobilization Stuart utilises dry needling (Western acupuncture) and tailored exercise programmes to help rehabilitate patients with muscle and joint problems. Stuart has been in golf since 1993 having started to learn his trade at World of Golf in New Malden. In the late 90s he became a full-time tournament professional playing on both the Challenge Tour and PGA Tour of Australasia. His experience in Australia allowed him to work with the Paul Chek Institute to develop his passion for the anatomical aspects of golf such as strength and condition and performance programmes. Stuart has worked with a number of European Tour players including Steve Webster, as well as European Seniors Tour Professional, Mark Davis. Stuart is currently Nick Dougherty’s full time coach and caddie. Kate is a Level 3 Advanced Personal Trainer and Level 2 Gym Instructor. Kate will be contributing to our monthly blog with videos featuring golf specific exercise for strengthening, conditioning and core stability. She will also be offering individual Golf specific Personal Training sessions in our first floor studio with the ability to tailor programs to your exact needs. But be warned Kate is no stranger when it comes to achieving ultimate goals having completed Ironman Lanzarote, the toughest of it’s kind, finishing in the Top 100 Ladies. Kate has also as competed in numerous Triathlons and 'Tough Guy' events, finally winning the Tough Guy Triathlon in 2012, and has also coached teams and individuals to County Division 1 level. 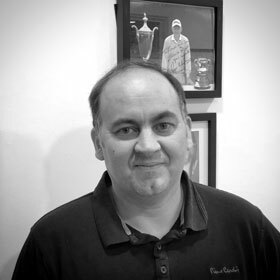 George brings experience in customer service as well as his knowledge of the game. Working in one of the most exclusive golf clubs in the country, he has been involved in golf for the last few years and is very motivated in improving his game and reaching his goals. Having played many sports and having trials for counties in cricket, he found golf at a later stage in life than he wanted, but through determination and patience his game moves ever closer to his target of a low figure handicap. As an avid golfer since the age of eleven Dan lives and breathes all things golf. With a current handicap of eleven he gets out and plays as often as his work life (and girlfriend) allows. Dan confesses to still being like a kid at Christmas when it comes to seeing the latest golf equipment. 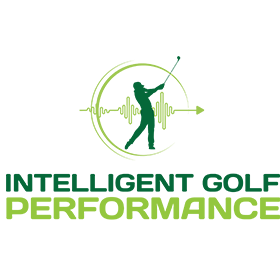 Having served as GolfPunk’s Deputy Editor, and resident golf geek for the past 13 years and working for golf’s oldest brand, John Letters. 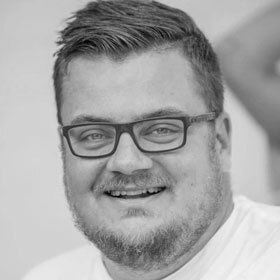 Dan has recently taken over as Editor at Golf Retailing, European golfs number one trade publication but MOST importantly will be regularly contributing as Editor of the monthly PG Blog. Sharon has known James and Simon since they first opened the PG doors back in 2005. 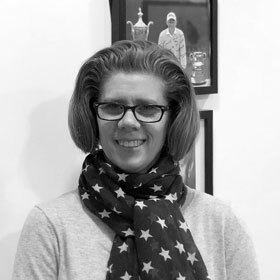 Having helped run several SMEs Sharon know what it takes to run a business from behind the scenes and puts as much effort into the PG accounts as customers bear witness to during studio fittings. The unsung hero of the PG Team! 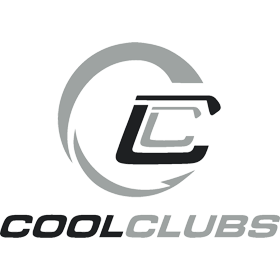 Cool Clubs are the largest independent club fitting organisation in the world with 16 sites in six countries with more sites in more countries planned. Like Precision Golf, Cool Clubs are not affiliated with any club manufacturer which means they fit clients with the equipment that performs best for them. All the equipment they fit is tested in-house using Cool Clubs developed software and testing equipment. Since they do not rely on each manufacturer's internal testing they know exactly how each club component performs against all other manufacturers. Precision Golf is proud with have formed an alliance with Cool Clubs in 2015 and now uses the very same software, technology and equipment for all fitting and building. Established in 2013 as a sister company to Precision Golf Limited, Your Spec Golf has been launched to meet the demands of discerning golfers in search of leading brand equipment built to very precise "tour level" specifications, often with aftermarket options not offered by manufacturers. 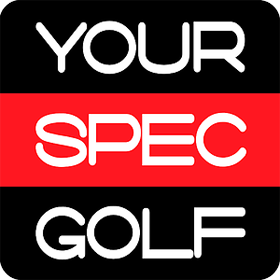 Your Spec Golf is particulary aimed at customers unable to travel overseas, for those that have been fitted before or have simply always played equipment set up a particular way. 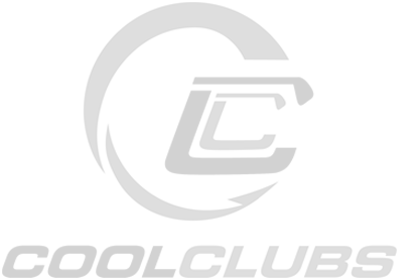 Even if you have a limited understanding of golf equipment Your Spec Golf can rebuild your existing equipment or hand build new equipment exactly how you need it, with components and colour options unavailable elsewhere, delivered straight to your door. Intelligent Golf Performance combines European Tour Led Coaching with Biomechanics programs by qualified professionals who work closely together in improving your game. This unique synergy of disciplines ensures more efficient game development producing more faster more effective results.